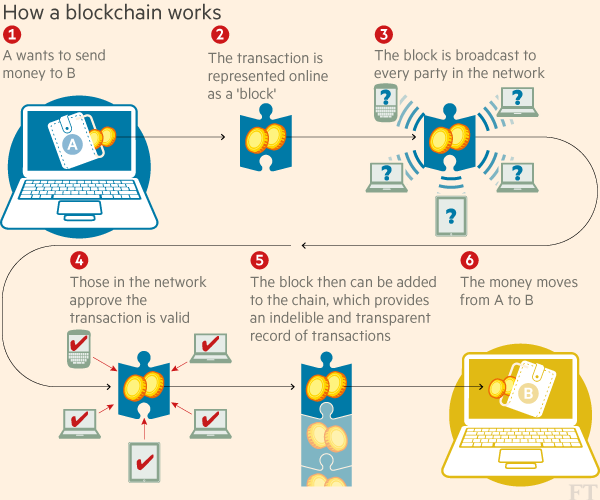 The transformational power and potential of the blockchain is only beginning to be understood. While it is most commonly associated with Bitcoin and other cryptocurrency applications, the blockchain is capable of so much more. Future applications such as smart contracts, supply chain solutions, food safety, and even applications for health care are on the horizon as we put “life in the blockchain”. Investors and companies are just starting to understand the transformational potential of blockchain technology to enhance the business processes of many industries and even permanently disrupt them. Blockchain is simply defined as a shared, decentralized ledger that provides a record of digital events and transactions across a distributed network of computers. Blockchain technology offers a way for untrusted parties to reach agreement (consensus) on a common digital history without the use of an intermediary. The blockchain uses cryptography that allows each user on the network to add information to the chain securely. When a user enters a new block of data, it is verified by the rules of the blockchain (mathematical algorithms) based on information already stored on the chain. If the majority of the users agree that the transaction matches the blockchain history, the transaction is approved and the ledger is updated with a new block in the chain. It is important for investors not to confuse Bitcoin and Blockchain. The digital or cryptocurrency known as Bitcoin is only one application of blockchain technology, like email or search is just one application of the Internet. In fact, many people draw parallels between the foundational potential of blockchain and the early days of the Internet. Is public interest for cryptocurrency fading?